This Wednesday, March 20th, RCFC member and Past President (2005-06) John Roberts, will take us on an around the world adventure. As an inveterate world traveler, John outdid himself between December of 2016 and May of 2017 on a five month long, 360 degree cruise around our planet. He visited 34 countries and 67 ports, travelling with his best friend, Kathleen Batterton. They saw and (better yet) experienced many cultures and religions. Their impressions, while vivid and colorful, were full of diversity, filled with the exuberance of life in so many countries, and included a good deal of surprise. John looks forward to sharing. 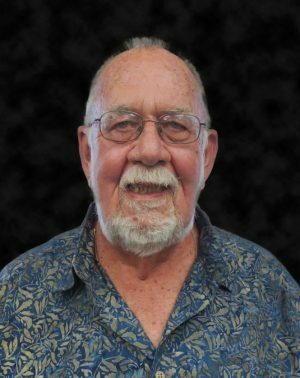 The distinguished Mr. Roberts has been a Rotarian since 1986, having joined while working in Botswana. He is a Fort Collins native, and attended the University of Colorado before joining the U. S. Peace Corps, and subsequently, the U. S. Department of State. John served our nation in 19 separate countries, and has traveled to 195 nations. The Rotary Investment Fellowship will meet immediately after the regular Wednesday meeting. We will gather in the foyer or side room. Topic: ”Inside the Bull Market’s Amazing Decade-Long Run.” Everyone is welcome to attend. Lloyd Thomas announced that the RYLA and YRYLA applications website for summer 2019 is now open. http://rmryla.org/apply_online.html Slots are available for both students and senior counselors. RYLA Plus is available for physically challenged students. 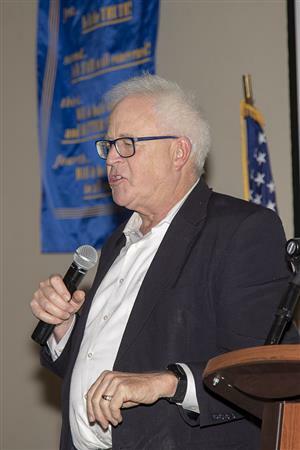 The Rotary Clubs of Fort Collins are sponsoring a Peace Initiative Speaker Series. The first is a special presentation at CSU’s Lory Student Center Grand Ballroom on Tuesday, April 9, from 6-8 p.m. Cost is $15 for adults, $10 for students. Contact Larry Salmen Larry.salmen@gmail.com (RCFC) or J.J. Shaw (Breakfast Club) for tickets. Jeanne Fangman announced that the April 17 meeting will be an evening meeting. It is our annual Service Above Self Recognition event. If you wish to nominate anyone for an award, please contact Jeanne by March 1.